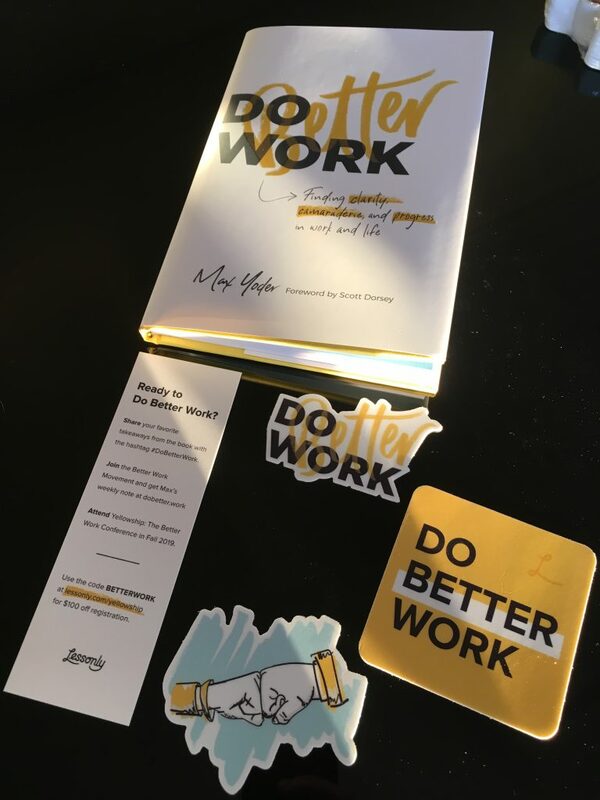 A few week’s ago I received a copy of Max Yoder’s book, “Do Better Work.” I’ve met Max a few times over the years. We even shared a stage once at The Combine conference in Bloomington. So that I’m familiar with Max but don’t know him super well is the point. But in those brief meetings, hearing him speak, and then reading the book it’s clear to me that Max is one of the most consistent people I’ve met. He’s consistent in what he advocates for in the book which is leaders being vulnerable and empathetic to those they are leading. More books should come with bookmarks. I dislike book reviews that try to tell you all the salient points of a book. Just give me a reason to pick up the book myself and hear directly from the author. So to that end, this is a brief book, an easy read, and if you wonder how being more vulnerable with your team can impact your leadership pickup a copy and get to know Max.